Prior to JoAnn Falletta’s sold-out 7:30 p.m. performance November 4 in the new recital hall on the Buffalo State campus, the university will honor alumni and friends who made the musical venue possible. The multimillion dollar recital hall will be named the Louis P. Ciminelli Recital Hall to honor the chairman and CEO of LPCiminelli Inc. Ciminelli and the Ciminelli Family Foundation gave $750,000 to the Buffalo State Music Department as part of the $20 million campuswide initiative Transforming Lives: A Campaign for Buffalo State. Listen to Falletta's interview about the performance with WBFO. The 194-seat recital hall located on the third floor of the historic Rockwell Hall features excellent acoustics, a raised stage, and a fully restored Mason & Hamlin concert grand piano. 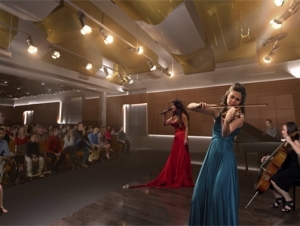 The entire facility, a $5.5 million project that includes a state-of-the-art recording studio and dedicated green room, fills the space that once housed the Burchfield Penney Art Center. Edna Rosner Rowland Teaching Studio, in honor of Rowland by her daughter, Doris Peterson. 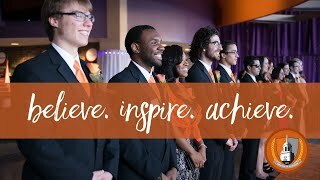 Buffalo State President Aaron Podolefsky, Vice President for Institutional Advancement Susanne P. Bair, and Music Department faculty will honor the donors and usher in the opening of the Ciminelli Recital Hall with a ribbon-cutting ceremony before the concert. Falletta, a classical guitarist and award-winning conductor of the Buffalo Philharmonic Orchestra, will perform works of Boccherini, Paganini, and Kreutzer, with clarinetist Robert Alemany, and Buffalo State’s ensemble-in-residence, the Clara String Quartet. Tickets to the performance are $35. To purchase, call (716) 878-3005 or online at https://secure3.ticketguys.com/buffalo/.